I don’t believe in guilty pleasures. I feel like if you enjoy something and it’s not hurting anyone, you should be proud of it. Probably the closest I come to a guilty pleasure is the never-ending onslaught of ghost hunting shows. Travel Channel has most of them, though they are not alone in funding series where adults walk around in the dark and act like every draft from an old building is a sign of demonic possession. It’s silly horror TV with the occasional good scare and I’m down for it. The shows have gone on long enough that spin-offs happen quite often. Ghost Adventures, my favorite of the scream at nothing and everything ghost hunting shows, did get a spin-off in 2016 called Deadly Possessions. It focused on Zak Bagans’ museum of haunted/cursed objects in Las Vegas. I remember watching the first episode, but never seeing it again. Two years later, the series has resurfaced on Hulu with the new title Ghost Adventures: Artifacts. The infamous Dybbuk Box, source material for the 2012 horror film The Possession, gets its own investigation. Ghost Adventures: Artifacts is not the first show to be renamed for syndication and it certainly won’t be the last. This decision always creates issues with branding, as an altered poster in an ad or even a new title card doesn’t erase all the audio and visual references to the original title of a series. Zak Bagans very clearly drops the title of the show throughout each episode, making declarations like “these are my deadly possessions” seem really awkward when accompanied by a Ghost Adventures: Artifacts title card. Editing disconnect aside, Ghost Adventures: Artifacts is a much better series than I remember it being. It’s the haunted/cursed object version of any of the pawn/antique shop shows. Oddities is the closest parallel, especially since Bagans brings in experts to discuss he objects in each episode and conducts investigations on the alleged hauntings or curses. It’s a solid introduction to some of the most notorious objects for fans of the supernatural. Whether or not you personally believe in ghosts or paranormal activity doesn’t mean that belief has a distinct effect on the people who do. Ghost Adventures: Artifacts features not one, but two separate haunted dolls. Robert the Doll is the alleged inspiration for the Child’s Play films, a haunted doll that the owners thought was alive and capable of cursing people to great harm for disrespecting him. Peggy the Doll has an even greater reach, capable of making people who look at her feel incredibly sick, even through a photograph or video. Peggy, especially, made for a great segment since the producers of the show had Zak Bagans give the audience a warning that they consent to any ill effects that might happen if they watch the actual reveal of the doll. The people interviewed—owners, people who encountered the dolls in museums, people who have researched the story—all seem apprehensive around the objects. That’s not true of everything in the series. There are objects of historical significance that probably aren’t haunted but make for interesting segments. It’s unlikely that a chunk of the wall from the St. Valentine’s Day Massacre or Charles Manson’s TV set are haunted. What they allowed for in this format is an investigation into the lasting impact and growth of superstition surrounding true crime stories involving murder and death. I know part of the draw of this genre is the investigations. They seem like an afterthought when the interviews and historical investigation into the haunted/cursed objects are so much more compelling. The format of the series is actually quite silly when you break it down. It’s like Travel Channel decided there has to be a ghost hunting moment in any paranormal series. You haven’t really experienced the depth of this reality genre until you’ve seen a grown man trying to interview a mirror in the basement of a museum. 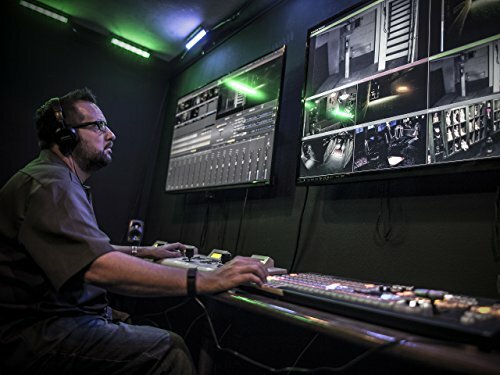 Ghost Adventures: Artifacts is better when they actually bust out the ghost hunting equipment—EMF detectors, those static translators that always create a crystal clear voice (typically female) when you ask an alleged haunted location/object questions—but even that can get a bit absurd. The worst offender is the Dr. Kevorkian “Deathmobile” segment. There is nothing to indicate from any credible story that the van is haunted, but the show has to send someone with a tenuous connection to the story (she lived in an apartment once rented by Dr. Kevorkian) to conduct an investigation in a dark room. The room has to be dark. And the young woman is the one sent in by herself at first to investigate the van, going so far as the climb in while the team in the control room act surprised that she climbed in. Is she a trained investigator or member of the team? Nope. She’s just a young woman who allowed for the paranormal element to be layered on the series. The expert, Kevorkian’s long-time lawyer, refused to play along with the ghost stuff and only spoke about facts. Cynicism aside, there are some stellar segments in the series. The investigation into the “Crying Boy” paintings actually made me struggle to fall asleep. That’s a painting and series of prints that became a tabloid sensation in Great Britain in the mid-80s. Reports were surfacing that this painting of a crying orphan boy and prints of it, as well, were being found completely undamaged in houses otherwise destroyed by fires. The antiques dealer who brought a copy to Zak had two house fires in short succession after acquiring the painting that started near the painting but didn’t ignite the painting. The show doesn’t go into the how of the invulnerability—the varnish used by the artist and distributor had a built in fire retardant, so the rope holding the frame up would burn first, allowing the painting to land face down and be protected by the frame and the varnish—but it is the object that seems to scare every expert the most. 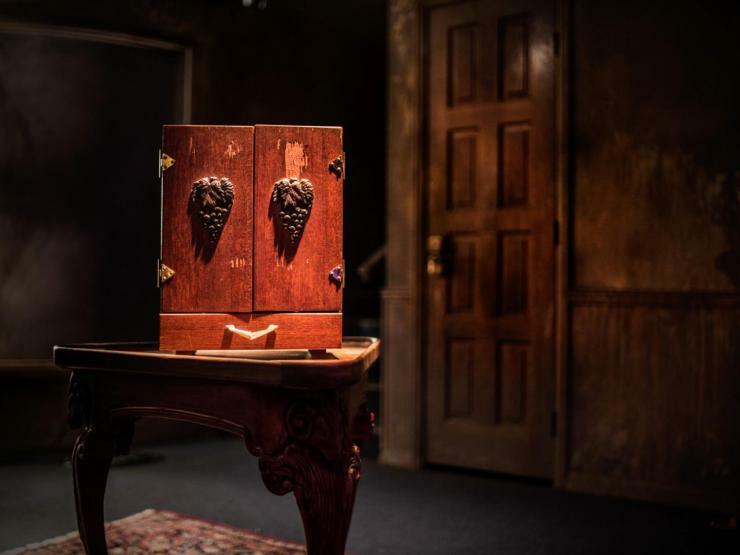 The Conjure Chest and Dybbuk Box are also highlights of the series. It’s hard to see how this series didn’t continue past six episodes. Everything was shot in a set location and largely used Zak’s own equipment and property. The museum is still in operation and packed with items, so even if they had to restage the passing off of the item, it couldn’t have been too hard to convince someone to retell their story. Shoot, the episode with Bela Lugosi’s mirror clearly features another day of shooting as he daughter who claims to have witnessed paranormal activity initially refused to film. The best guess I have comes from the sixth and final episode (fifth in Hulu’s order, sixth in production order). The first segment is all about the death of Natalie Wood. Each segment of the story leads with a statement that the opinions shared in the story do not reflect those of production. Natalie’s sister Lana and the ship captain tell their version of how they believe Natalie Wood died. Most of the people involved in the case are still alive and there’s some very strange and noticeable editing. I imagine the potential liability of retelling these stories, especially if the show wanted more of the murder tourism artifacts with the haunted objects, outweighed potential revenue. Do you really want to be the network sued for slander because of a silly ghost hunting show? Ghost Adventures: Artifacts takes a few episodes to find its voice. There’s a weird choice to have the creepy doorman as a sort of courier in charge of the haunted objects but also protected from them if they’re too dangerous (even after handling the object already). The in-museum scenes are actually really charming, but there aren’t many of them. The show eventually settles on Zak trying to acquire objects and deciding how best to store them for the safety of himself, his employees, the guests of the museum, and the exhibits themselves. The ghost hunting does feel superfluous by the end of the series, but the interviews and well-shot recreations make this a solid series to watch for fans of the supernatural. Ghost Adventures; Artifacts is currently streaming on Hulu Plus.